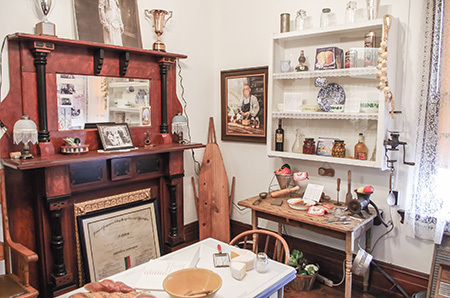 The Italian Heritage Room depicts the typical Italian family lifestyle and the impact Italian immigrants made on the Slate Belt. Captured are the representation of a reverted food table at holiday time and an antique wine press. 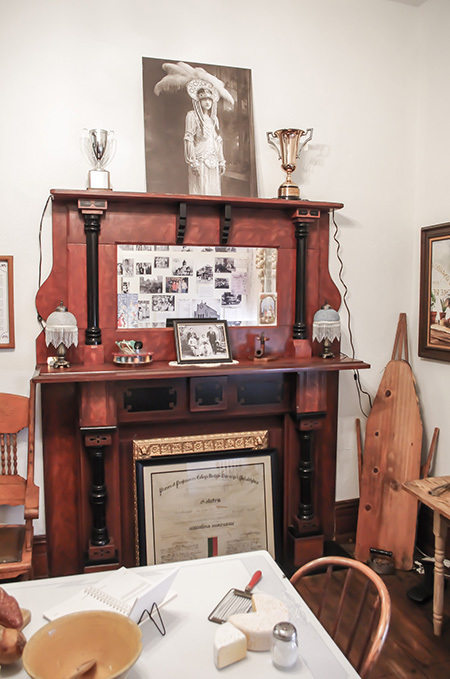 Female attire apropos to the earlier part of the century, as well as photographs and articles embracing the Italian people who made their mark on the Slate Belt are displayed. A steamer trunk recalls the arduous trip made by countless immigrants from Italy with Ellis Island as a final destination point. Various books and compositions relative to Italian culture are displayed. The most notable is Dr. Stewart Wolf's film and book, 'The Roseto Story.' A wall map of the boot shaped country is available for families to trace and document their ancestor’s point of origin. One can hear cheers from yesteryear through the showcased authentic 1936 Roseto A’s semi-professional baseball team jersey.